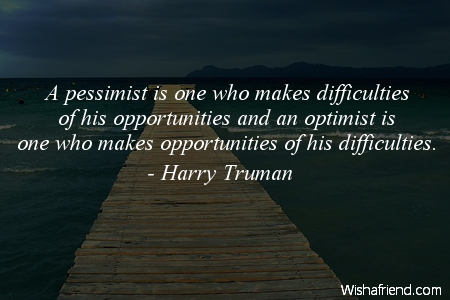 Harry Truman Quote: A pessimist is one who makes difficulties of his opportunities and an optimist is one who makes opportunities of his difficulties. Browse our collection of Optimism quotes and sayings. Share Optimism quotes with friends and family.